The word is out...the Secret Law of Attraction has been exposed!! By whom you ask? And what is this big secret anyway? 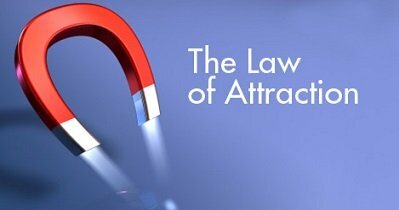 Coincidentally enough, the secret Laws of Attraction came to the forefront, from a program called...you guessed it... The Secret. This outstanding production taught the secret of the Law-Of-Attraction to the world, a secret that was known by ancient civilizations thousands of years ago. OK, so what's the big deal you are probably asking...what is this secret? This Law is the most powerful law in the Universe. This magnificent law governs all energy, attracting like energy to like energy. Doesn't sound that complicate, does it? Well, it's not. You can use this this process to align yourself in becoming a successful stock market trader. Science has proven that everything in the Universe is made up of energy, including our thoughts. Thoughts create emotions, emotions create feelings, and feelings are Energy and Vibration. All energy vibrates at particular frequencies. We are energy too, and so each of us is also vibrating at a frequency. So our thoughts, feelings and beliefs determine the vibration and frequency of our energy. There are only two kinds of vibrations, positive and negative. These vibrations go into the Universe & into an energy field called the Quantum Field (from a physics point of view). From a spiritual point of view, this Quantum Field is called many things such as Source Energy, Pure Potentiality, The Universe and God. Electromagnetic waves are called Quantum’s. Rates of Vibrations are called frequencies & the higher the frequency, the more potent the force, therefore, thoughts with high vibration, or frequency, which is brought about by positive feelings & enthusiasm & positive expectations, will attract faster. We as human beings are in fact a walking energy field. We are Spiritual Beings and we are Energy Beings. In fact we are like a walking energy field. And because everything in the Universe is energy, we are like a walking energy field operating within a larger energy field in our Universe. The beliefs in our heart energy produce vibrational frequencies, which in turn create the realty in our life right now. Our heart vibration is what produces the wave that make atoms. It’s what you believe in your heart is what locks the quantum possibility into your reality of this moment. We are “reality makers”, and we can make only what we believe from feeling in our hearts. All human beings and physical things and matter are connected to each other by our atoms and energy through our heart, and we in turn are connected to this Source Energy and Quantum Field, we are part of this energy field. 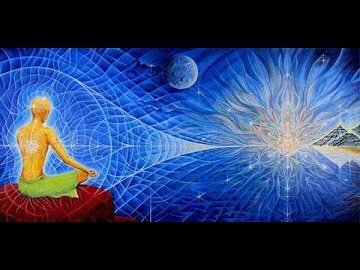 So our emotional heart feeling vibrations are connected to the Universe & into this source energy field. When you change the energy field that the atom is in, you change the atom. And this energy and vibration will match with the exact energy and vibrations that exists in the Quantum Field and attract that energy to you. This energy can come in the form of people, circumstances and physical things. 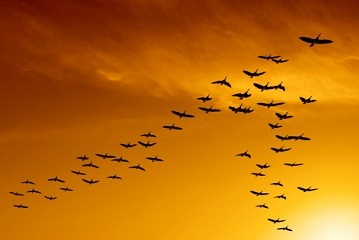 This Quantum Field, which exists everywhere around us at all times, is the bridge that connects us and all of our energies and vibrations together. So you can see, the Law of Attraction is a law of nature that every atom of your being is in constant response to your mind thoughts and heart feelings, whether you know it or not. When you think and visualize something, you control the vibration that you are in and when you control the vibration that you are in, you control what you attract into your life and dictate the energy that you attract to yourself. We are the architect of our lives. So if you want more in your life ie. greater wealth, greater health, more meaningful relationships, make up your mind right now that you are going to build the image of what you want and you are going to hold that image and you are going to stay in that vibration. Like energy attracts like energy, and the goodness that you want is already here in the Quantum Field in the form of non-physical energy, atoms and vibration. All you have to do is to get into harmony with it and you will attract it that energy, and that energy will transform into your physical, emotional or spiritual need. And you do that through your own thinking, imagination and resulting heart based feelings. You can only attract to you the things and energy that vibrate in harmony with you. When you hold the image of your goal on the screen of your mind and visualize, in the present tense with the great emotion of gratitude as if you already have it right now, you create more feeling in your heart you are vibrating in harmony (in resonance) with every particle of energy in the Quantum Field necessary for the manifestation of your image on the physical plane. You want to think, say, imagine and feel the feeling in your heart of already having now what you desire. By holding that image, those particles of energy are moving towards you (Attraction) & you are moving towards them through your sub-conscious Heart/Mind – because that is Law. At anytime that you are thinking positive thoughts that cause you to feel good and know your true nature, you are in alignment with who you really are, for this is the state of "Absolute Alignment & Allowing". And the way those thoughts feel is the ultimate emotion of connection. Attention to how you are feeling is necessary in order to understand everything that is happening to you. Eckhart Tolle calls this being the“Watcher of Your Mind”. However, the more you resist, or in other words have negative thoughts, the worse you will feel bad, and when you are feeling bad, you are resisting the Stream of Well Being and will NOT be connected or in alignment with Source, God & the Universe & yourself. The secret Law of Attraction will be working against you. So focus on what you want, NOT what you don’t want, because you will attract & get it! In other words, don’t focus on what you are afraid of, because you will get it. For example, if there is something that you desire that you currently do NOT have, & you put my attention upon your current state of NOT having it, then the Law of Attraction will continue to match that NOT HAVING IT vibration. So you will continue to NOT HAVE that which you desire. Furthermore, you will attract more & more negative experiences. You are not in alignment or allowing, you are offering resistance. So focus on having profitable stock market trades...never focus on the trades that do not do as well. This is the Secret Law of Attraction. The negative things that we experience in our life are simply caused by turning away from all good that is there. Imagine that the Universe (which is all good….the Universe is God) is like the sun. The sun continually shines, sending out its life energy to us in a never-ending stream. You experience the effect of the sun when you are facing it, but if you turn away, you will no longer receive its life-giving effects. The Universe or Source Energy or God is operating identically to the sun. It is always there and always and always available, sending out all-good to you. When you focus your thoughts and feelings on gratitude and joyous thoughts, you are turning towards all the good that is being permanently offered to you, and you are in alignment with the Source and are allowing. But when you complain, blame, criticize, feel resentment, jealousy, or any negative emotion, you all turning away from what is all good, and resisting Source Energy, which is all good. And you will attract more of the same negativity. So, attention to how you are feeling & how & what you are thinking is necessary in order to understand everything that is happening to you. How you feel & the feeling of belief that you discover as you reach for better-feeling thoughts is your only true measurement of what you are attracting into your experience. The easiest way to come into alignment with your Source, God & your true self, & therefore feel better is to work on releasing your resistance. As the originator of the Chicken Soup for the Soul series, Jack Canfield has been the driving force behind the development and delivery of over 100 million books sold. He is an award winning speaker on the law of attraction who has been coaching and inspiring people for more than 30 years. With his role as one of the experts in the hit movie The Secret, Jack Canfield continues to be a major player in the self-help arena. In his excellent audio program called Activating the Law of Attraction, Jack Canfield shows you how to use your energy to bring about a life that is truly magnificent. You begin to understand that there are no accidents in the universe. You'll witness impressive changes in your life - changes brought about by tapping into the secrets of the universe as revealed in this program. Jack Canfield defines critical steps and thought processes that can take your life to a whole new level. You'll learn the three major components of the law of attraction for attracting excellent health, abundance, and great relationships. Plus, you'll hear powerful stories, including some from Chicken Soup for the Soul, that will expand your vision and touch your heart. You'll walk away from this Law of Attraction program with a clear sense that virtually anything is possible when you are in alignment with what you want and ready to receive it. And that my friends, is the Secret Law of Attraction...and it's not such a secret after all! Learn How To Have, Do, or Be Anything You Want.! Learn To Activate The Law of Attraction In Your Life Today! 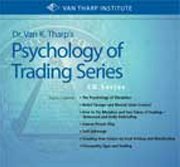 Return from "The Secret Law of Attraction" to "Stock Market Trading Psychology"
Return from "The Secret Law-of Attraction" to the Home Page: "Stock Market For Beginners"